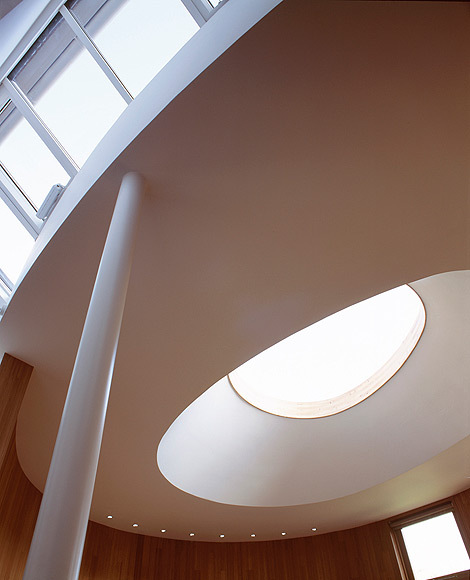 An elliptical extension to a large Victorian house, constructed entirely in timber. After downsizing to an apartment in this large Victorian house, our clients required an 'iconic' new sitting room, as well as the replacement of a poor quality conservatory. 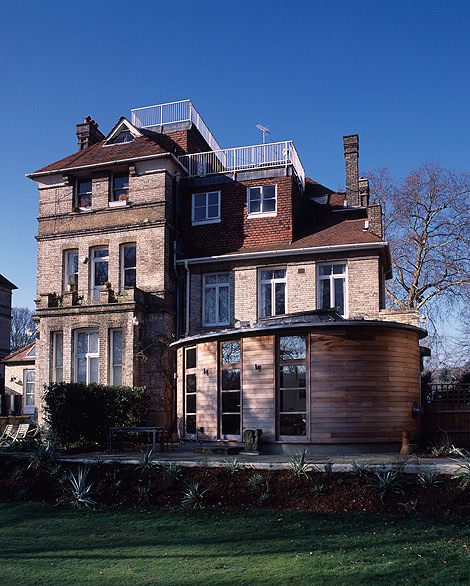 Particular site constraints and negotiations with the local planning authority led to the design of this new egg-shaped building. 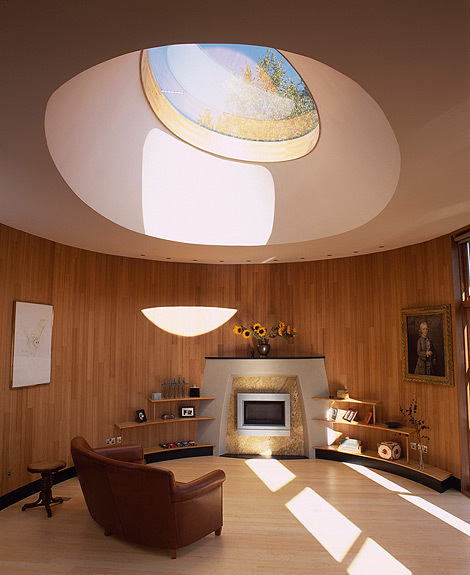 The deeply splayed roof light allows in maximum daylight with minimal solar gain. 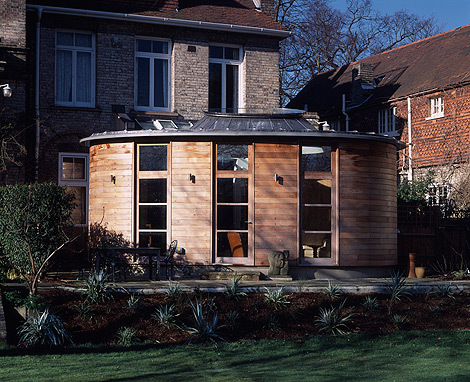 The structure is entirely timber framed and timber clad, with cedar outside (which was steam-bent to the necessary profiles) and bamboo inside. The structure was prefabricated in sections and erected quickly on site.